An Ebola outbreak in the Democratic Republic of Congo has spread to a major city -- Mbandaka, with a population of about 1 million people -- officials said. The country's health minister said authorities are intensifying work to identify those who have been in contact with suspected cases. Another concern is the disease could be spread through commerce, as the city is a major trade thoroughfare on the banks of the Congo River. On Wednesday, the World Health Organization said Ebola vaccines have been delivered to help stem the crisis. "A first batch of 4000 #Ebola vaccine doses just arrived to Kinshasa, Democratic Republic of the Congo. Additional doses should be deployed in the coming days to #DRC. There are ongoing preparations to start the ring vaccination as soon as possible," the WHO tweeted. Nearly four dozen Ebola cases have been reported in the latest outbreak -- 3 confirmed, 20 probable and 21 suspected, the WHO said in a statement. "This is a concerning development, but we now have better tools than ever before to combat Ebola," said," said WHO Director-General Tedros Adhanom Ghebreyesus. The health organization is working with Médecins Sans Frontières, or Doctors Without Borders, and other partners to increase the capacity of health facilities to treat Ebola patients in isolation wards. WHO is also working with the Congolese Ministry of Health on prevention, treatment and reporting new cases. 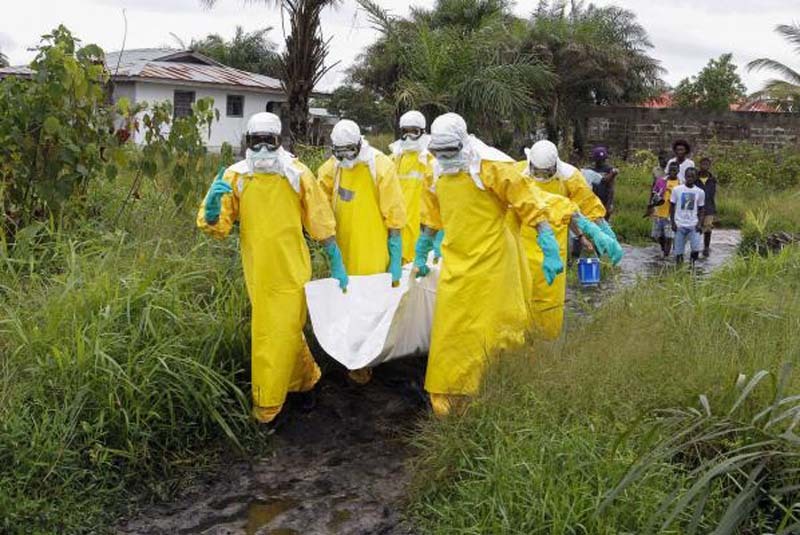 "We are entering a new phase of the Ebola outbreak that is now affecting three health zones, including an urban health zone," Health Minister Oly Ilunga Kalenga said. "Since the announcement of the alert in Mbandaka, our epidemiologists are working in the field to identify people who have been in contact with suspected cases." Last week, officials said the disease had spread to the Bikoro region. The WHO also said there have been 27 cases of fever with hemorrhagic signs, including 17 deaths, since the start of April.